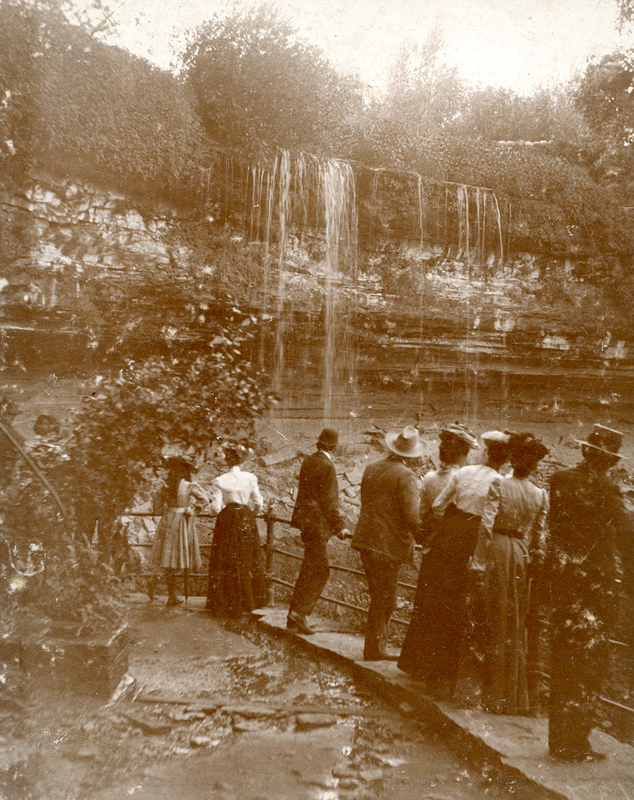 From 1890 until perhaps 1920, one could nearly touch the falling water at Minnehaha Falls. We cannot get so close today. 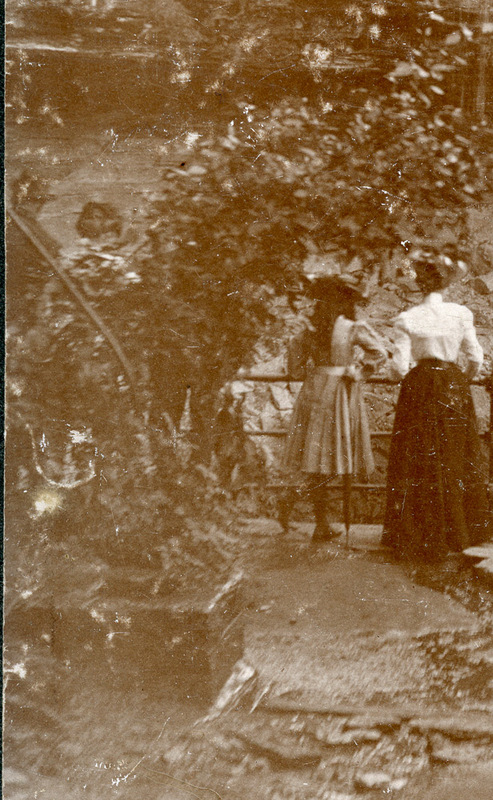 De-watering springs at Minnehaha was an early Park Board engineering problem. The ground around Minnehaha is alive with water. This is why the falls, when frozen, present that wide landscape of icicles. Springs used to just bubble up, and all that water had to be routed away from structures like roads or this platform. This detail picture shows a pipe pouring water into some kind of catchbasin or sewer. Did people drink this water, at this late date?